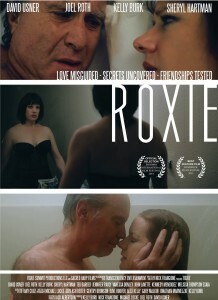 Two of the Marin based filmmakers from Roxie came into the studio for their interview. We chatted with Nick Frangione and Kelly Burk about their film and having it almost local in the Sonoma International Film Festival. Roxie is an independent dramatic feature film shot on location in the San Francisco Bay Area. The movie is now streaming everywhere. For more information, visit their official website. They can also be found on Facebook and Twitter.